A man who saved thousands of lives during the 9/11 World Trade Center attacks in New York is having a new train named after him in England. 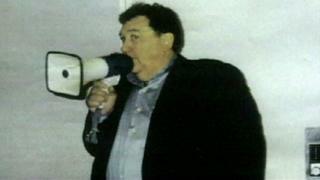 Rick Rescorla from Cornwall was head of security for Morgan Stanley, a bank based in the south tower. He evacuated more than 2,500 employees on 11 September 2001 before returning inside – but his body was never found. He was nominated to have a new intercity express train named after him in a poll run by Great Western Railway. 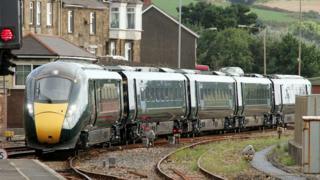 The train will be named at a ceremony in Long Rock near Penzance on Saturday. 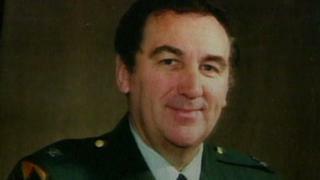 Mr Rescorla’s widow Susan will attend the ceremony along with friends and family who live in the US and Cornwall. She said: “Rick was so proud of his Cornish roots. Mr Rescorla was born in Hayle in Cornwall but became a US citizen in the 1960s and was decorated for bravery as a platoon leader during the Vietnam War. He was employed as head of security by Morgan Stanley, who occupied 20 floors of the south tower at the World Trade Center. Mr Rescorla made staff at the bank regularly practise escape drills that later saved their lives. When the attack happened he led people down the staircases, singing Cornish songs as he went. He then returned inside and was last seen on the 10th floor looking for more people to evacuate. The 62-year-old was one of 2,605 people who died when the two towers collapsed. His body was never recovered. Mark Hopwood, managing director at Great Western Railway (GWR) said: “Rick’s story is a remarkable tale of incredible bravery and it is little wonder that the public want to recognise him as someone who really epitomises the spirit of the region we serve. 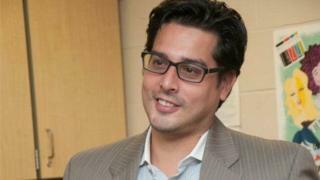 David Ricca started working at Morgan Stanley in August 2000. The morning of 9/11 was like any other, having an early breakfast on the 44th floor before settling down at his desk on the 73rd floor, when a plane struck the north tower. He started to make his way out of the south tower, climbing down the staircases and ignoring the intercom that was telling people to go back up. “I saw Rick numerous times when he came to our floor and spoke to us. All his teachings and all his drills really made an impact. “Some people didn’t like being interrupted in business hours but I’m so glad that he did it. To teach us what needed to be done because it [the death toll] could have been so much worse. “We heard on the intercom ‘please go back upstairs – we are going to figure out what is going on’ and unfortunately some people did listen to that. We learned from Rick and his team to just continue to go down whatever the case may be. Complete guide to train american pitbull puppies and raise healthy, well behaved dogs. 10 plans to build children's playhouses with step by step instructions.